The cannabis industry is the new investment frontier. Consider the capital investment by Constellation Brands in Canada’s Canopy Growth, Aurora Cannabis’s acquisition of Mexico’s Farmaciea Magistrales, Coca-Cola’s discussions with Aurora Cannabis to develop CBD infused drinks, CannaCraft and Lagunitas’ co-branded launch of HiFi Hops, an IPA-inspired cannabis sparkling beverage, GUINNESS® owner Diageo’s discussions to explore releasing a line of cannabis infused drinks, and Molson Coors Brewing and The Hydropothecary Corporation joint venture to develop cannabis drinks. And, with the decline of cigarette smoking, even Philip Morris is interested in the business. It is reported that other huge companies want to participate in cannabis deals, including BASF, DuPont, and Royal Dutch Shell, as well as Beau Wrigley who has invested in Suterra Wellness, a medical marijuana company with plans to enter the domestic market. But what important assets do these cannabis companies own or control that justify an investment? In the typical investment scenario, a target’s intellectual property is a key bankable asset and questions about the strength and scope of the target’s intellectual property are critical. Does the company own any patented technology, and if so, are the patents valid and enforceable? How about company brands? Does the company own its brands? Where does the company stand in terms of the risk of being sued for infringement? What about employee-created intellectual property? Does the company own it? Does it matter if the deal is structured as an asset purchase or an equity transaction? These and other intellectual property related due diligence topics are discussed below. A trademark is typically (though not always) a word, phrase, symbol, sound, smell or design that uniquely identifies and distinguishes the source of goods or services. Examples of word trademarks include JUUL®, ROORTM, EPIDIOLEX® or GG4TM. A “service mark” is a mark that identifies services rather than goods, such as EAZE®, LEAFLY®, FLOWHUB®, and MASSROOTS®. The distinction between trademarks and service marks, however, is one without a difference. They function in the same way and, from a legal stand point, are treated in the same way, and the term “trademark” (or sometimes just “mark”) is often used to refer to both trademarks and service marks (as is the case in this article). 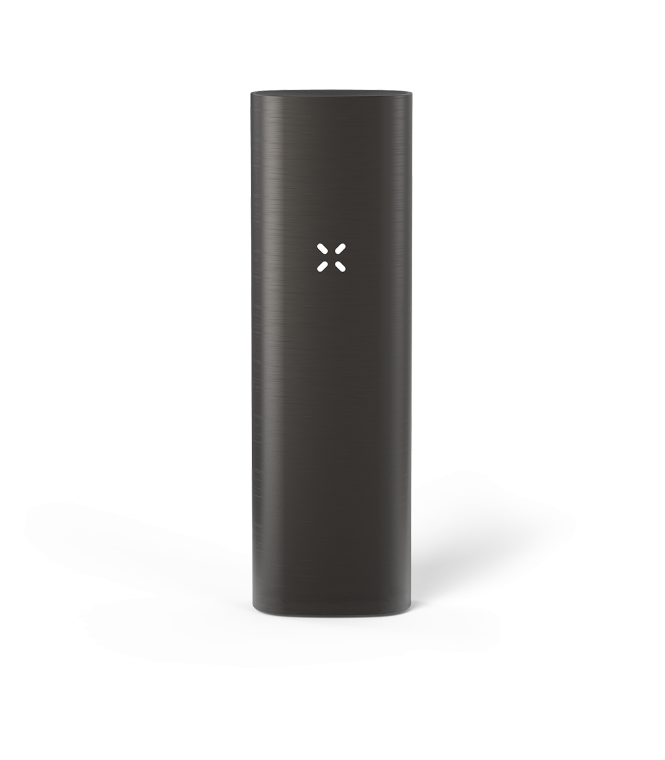 Similarly, “trade dress” refers to a trademark that consists of the appearance – the “look and feel” – of a product and/or its packaging, e.g., the look and feel of the PAX® vaporizer (shown below). Under U.S. law, one acquires a trademark simply by using it in connection with the sale or rendering of goods or services. These are called common law trademark rights. Trademarks need not be registered, but federal and/or state registration are recommended as additional rights and benefits may be acquired through such registration. Unlike in the U.S., in most foreign jurisdictions, including in the EU, China, and Mexico, and soon to be Canada, where even dried cannabis can be included in a trademark registration, trademark rights are acquired through registration, and in some cases use is not even required, thus allowing third parties to stockpile marks without commercial use. Also unlike in the U.S., in many such jurisdictions, a trademark registration acts as a defense to an infringement claim by a third party. So, it is good to obtain registrations of trademarks. To obtain a federal trademark registration, the owner must “lawfully” use the trademark in connection with the sale of goods or services. If the sale or distribution of the trademark owners’ goods or services is prohibited by federal law, the trademark use is not “lawful” for purpose of federal trademark registration. It follows that because the sale of cannabis-related products and services may not be lawful at the federal level, e.g., under the Controlled Substances Act as a Schedule I substance and The Food, Drug and Cosmetic Act, it may not be possible to obtain a federal trademark registration for such goods or services. For example, the Trademark Office continues to refuse federal trademark registration for edibles containing cannabidiol (CBD) under The Food, Drug and Cosmetic Act. On the other hand, because of the recently enacted 2018 Farm Bill, extracts of hemp, such as cannabidiol, are excluded from Schedule I provided the extract contains less than 0.3 percent THC. Nevertheless, as of this writing, the Trademark Office may still reject federal trademark applications for hemp oil extracts. products and services are legal. For example, LIVE™ is registered in the State of Colorado for cannabis and hemp extracts, oils and vape pens. In some states, such as California, trademark registration laws are in the process of being updated, e.g., though California Senate Bill 185 was just introduced. In addition, a trademark owner can develop common law trademark rights in the markets where the products or services are sold even absent state or federal registration. Further, a trademark can be federally registered for any goods or services for which it is lawfully used, e.g., hair, skin care and food products that include hemp derived CBD, smoking accessories, apparel, cultivation tools and products, or a dispensary search service like WEEDMAPS®. For example, Roor International has obtained U.S. Registration No. 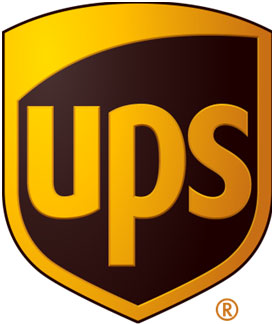 3675839 for its well-known ROOR logo (shown below) for glass pipes, bongs and water pipes. Sometimes entities seek federal registrations for marks by “finessing” the unlawful nature of the use in a description submitted to the trademark office to avoid detection, e.g., by describing edibles merely as food products. However, even if a registration issues, the underlying use is still not “lawful” and, for that reason, the registration will ultimately be vulnerable to attack and cancellation for lack of lawful use. What are the key trademarks and for what goods and in what countries are they used or contemplated to be used? What is the key trade dress (if any)? Where, geographically, are the trademarks used? Are the trademarks (and trade dress) covered by any state or federal registrations? Are the trademarks (and trade dress) covered by any international registrations? Is the chain of title in the registrations clear (e.g., were they filed in the correct name and are any transfers clearly documented)? Are the registrations vulnerable to attack (e.g., for lack of lawful use)? Are any registrations being properly maintained and what maintenance costs are upcoming? Have the trademarks been cleared for use through a formal trademark search (not just a quick Google® search)? If not, a formal search should be conducted. Has the company been accused of infringement? Are there co-existence or settlement agreements that restrict the company’s use of its marks? Does the company have any sponsors in place and are appropriate agreements in place? Are any trademarks licensed in or licensed out, and if out, is quality control being maintained? Is the license really a franchise agreement? Does the target company have advertising injury insurance coverage? Are state required packaging and labeling requirements being monitored and complied with, e.g., the Washington State Liquor and Cannabis Board regulations prohibiting the use of cartoons, bubble-type fonts, bright colors, a design or brand name that resembles a non-cannabis product that is marketed to children, symbols and celebrities that are commonly used to market to minors, and images of minors? Has the company received any cease and desist letters? Are any of the relevant trademarks or trade dress involved in litigation and in what stage is the litigation? For example, leading water pipe manufacturer Roor International and its distributor Sream have filed numerous lawsuits due to extensive infringement of its ROORTM trademark. The owner of the Gorilla Glue® adhesive required that the name of the cannabis strain Gorilla Glue #4 change it and it was changed to GG4TM. 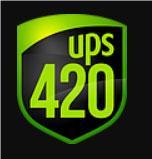 And even more recently UPS, the shipping company owning the logo below on the left sued United Pot Smokers for using the logo on the right in connection with its cannabis product delivery services. Copyright law covers original works of authorship, such as advertisements, advertising and website copy, packaging content and copy, music, sound recording, brochures, graphics and illustrations, photos, product descriptions, website content, and software. Magazines, such as High Times and Confectionary. News, and data reporting companies, such as New Frontier Data, rely primarily on copyright law to protect their content. Copyright rights come into existence as soon as the work in question is created and copyright rights last a very long time. It is both easy and inexpensive to apply for a federal certificate of copyright registration, and doing so is a prerequisite to filing a lawsuit for infringement. A certificate of copyright registration is also a prerequisite for obtaining recovery of attorneys’ fees and certain types of damages in such a lawsuit. In general, copyright rights originally vest in the creator of the work. The copyright rights in works created by an employee within the scope of their employment originally vest in the employer. However, in general, works created by contractors (e.g., non-employee graphic designers or consultants or advertising agencies), will originally vest in the creator of the work not the company or individual that commissioned the work and, absent a written assignment agreement, the creator not the company will remain the owner of the copyright. What are the key works? Who owns the copyright in those works? Is the chain of title to the company clean and clear? Are logos, websites and other key advertising materials subject to copyright registrations? Does the company have appropriate assignment agreements in place with employees, contractors, ad agencies, etc.? Have the copyrights been timely registered? Are copyright notices being properly used? Is the company using third party materials or do any of its works incorporate materials created by third parties (g., music, artwork, images, photographs, etc.)? If so, does the company have appropriate permission to use materials or is it at risk for a copyright infringement claim? Have any cease and desist letters or other demands been received and has litigation been threatened? The term patent is a government-granted right allowing the patent owner to prohibit others from making, using, selling, and/or importing an invention for a specific period of time, usually twenty years. A utility patentable invention is “any new and useful process, machine, manufacture, or composition of matter, or any new and useful improvement thereof.” Patentable inventions could include compositions such as edible or beverage form cannabis products like marijuana infused gummies, mechanical devices such as metered-dose cannabis inhalers such as SYQETM or PAX® vaporizer cartridges, home grow devices such as those marketed by Seedo, cannabis processing and extraction methods, methods of reintroducing extracted terpenes to extracts, genetically modified marijuana plants with increased oils for better flavors and enhanced highs, software, methods of manufacture, and medical processes and uses for cannabis, such as treatments for an illness such as epilepsy. A plant patent covers a new variety of plant that can be duplicated through asexual reproduction and is not naturally occurring. Plant patent rights are available for new cannabis plant strains and varieties. These rights give the breeder the exclusive right to use, reproduce, sell, or offer for sale the plants or any of its parts, e.g., seeds, cuttings, divisions, etc. The term patent can also refer to a “design patent,” which covers the ornamental features of an article of manufacture, such as unique packaging features or the aesthetic design of a vape pen, and lasts for 14 years. Regardless of the type of patent – utility, plant, or design – to qualify for patent protection, the subject matter must be novel, non-obvious, and not cover naturally occurring substances or an invention based upon algorithms. Patents are territorial and applications must be filed within certain statutory deadlines. Unlike federal trademark registrations, patents need not be supported by “lawful use” and patents directed to cannabis related products and processes are regularly issued and found valid and enforceable. For example, GW Pharmaceuticals owns U.S. Patent No. 9,066,920 for a cannabis extract for epilepsy treatment. United Cannabis Corp. owns U.S. Patent No. 9,730,911 for a cannabis based extract. Axim was recently issued U.S. Patent No. 10,172,786 for a cannabidiol toothpaste claiming in part: [a] cannabinoid toothpaste composition comprising: an abrasive agent, a binder, a humectant, a fluoridating agent, a surfactant, water, a thickener, lactoferrin and cannabidiol present in an amount of 0.1% to 0.5% by weight. In addition to patents covering cannabis formulations, patents can cover devices. For example, Juul Labs Inc. owns patents covering Pax® vaporizer devices, e.g., utility U.S. Patent No. 9,408,416 and design U.S. Patent No. D762003. What technology is the company using? In addition to the technology mentioned above, consider cannabinoid receptor targeting, cannabis pharmaceutical compositions and derivatives, cannabis strains, methods of producing products including extracting, purifying and concentrating extracts, dosage forms, detection methods, etc. Has the target company technology been timely protected under the patent laws, g., were patent applications timely filed? Are company patents valid and enforceable – particularly an issue with broad cannabis patents as the Patent Office does not have an extensive library of prior art to use when it examines the patent application? What is the scope of the patent claims? When will the patents expire? Is the company marking products with the patent number to facilitate a claim for damages in the event of infringement? Is the company infringing any third party patents? Are there any threats of patent infringement and what is the status of any pending patent infringement cases? manufacture, that has value because it is unknown to and not readily ascertainable by the general public and is the subject of reasonable efforts to maintain its secrecy. Classic trade secrets are proprietary formulations (e.g., the Coca-Cola recipe), customer and vendor lists, and methods of production and testing, such as a new process to cultivate cannabis to derive higher oil content. Indeed, the Pennsylvania Department of Health recently argued that select cannabis fertilizers and pesticides, and cannabis processing, fell under its state’s trade secret laws. If kept secret, a trade secret can last forever. The owner of a trade secret can prohibit third parties from taking and making unauthorized use of the trade secret. However, unlike patents, this protection is not absolute. For example, if a third party develops the same trade secret formula, method, or process on its own, the trade secret owner cannot stop that third party’s conduct. To maintain information as an enforceable trade secret, a company must take reasonable steps to keep the information secret. The most common way to accomplish this is to ensure that before anyone has access, or even potential access, to the information, that he or she executes a written confidentiality agreement in which they acknowledge that they will have access to trade secret information and agree not to use or disclose that information. Companies should also consider prohibiting employees from using personal computers or devices for company work and taking steps to prevent employees from copying confidential company documents and files, such as limiting access to such documents and files or limiting the ability to copy or print such documents and files. If a company suspects trade secret misappropriation it should act quickly. Not only is there usually a statute of limitations limiting the time period during which claims may be brought, but quick action is critical to preventing unauthorized use or dissemination of the trade secret information. For example, Green Leaf Lab, LLC recently filed a lawsuit against 2 River Labs and a former employee of Green Leaf. The former employee was alleged to be exposed to secrets of Green Leaf and also alleged to have copied Green Leaf’s confidential methodologies and procedures from a Green Leaf USB drive and brought them to her new employer 2 River Labs which allegedly used them. One of the facts alleged by Green Leaf was that the former employee signed a written confidentiality agreement. In another recently filed case, My Vape Order, Inc., alleged to be a market leader in the vaping industry, accused Eric Upchurch, an independent contractor, of trade secret violations, alleging that Mr. Upchurch learned of My Vape’s trade secrets related to E-juice/E-liquid formulas, and disclosed them to a third party. Again, the contractor’s execution of a confidentiality agreement was a key factor in My Vape’s allegations. What practices does the company have in place to safeguard its confidential information? Does it require employees to execute confidentiality agreements? What about contractors, vendors, officers, directors, consultants, etc.? Does it control and limit access to the trade secret information – either physically or electronically? Does it take steps to educate employees about the importance of maintaining the secrecy of confidential information? When the company hires employees, does it remind the employees not to bring trade secrets of their former employers to the company? Any threats of litigation and what is the status of any pending litigation? Obviously, Canada and shortly Mexico are players in the industry and one should appreciate that the law varies by country as well as states. Thus, the foregoing is intended as a primer for U.S. law only. This is provided for informational purposes only and is not legal advice. Rod S. Berman is Chairperson of the Intellectual Property Department of Jeffer Mangels Butler & Mitchell LLP, and Jessica Bromall Sparkman is a Partner in the practice. Their practices encompass all aspects of Intellectual Property including patent, trademark, trade secret, and copyright law, including litigation, prosecution, domain names, opinions, counseling, acquisition, licensing, due diligence, and portfolio management. Rod Berman is also a registered patent attorney with an MS in chemistry. They can be contacted through www.jmbm.com. JMBM’s Legal Cannabis Group provides businesses and entrepreneurs with all the resources and benefits of a full-service law firm on business matters involving legal marijuana and cannabis-related substances. We focus on the needs of business and property owners, developers, investors, lenders, commercial landlords and tenants, growers and producers, processors, dispensaries and sellers, and creators of new cannabis products. We can help on critical government approvals, compliance and permits as well as on business structures, contracts, securities offerings, leases, intellectual property and financing. We handle all kinds of litigation, as well as labor and employment, and tax issues. JMBM’s Intellectual Property Group represents entrepreneurs, family-owned businesses, middle-market companies, startups, universities and the FORTUNE 500®. Our IP lawyers handle patents, trademarks, copyrights, domain names, trade dress, trade secrets, and related licensing and litigation. We have significant experience handling unfair competition matters as well as the full range of IP issues that surround the internet. Our approach is aggressive and efficient, and we keep a keen focus on helping clients achieve their goals.